a pertinent question: Can a website help grow business? In the technological age when almost everything else has gone digital, it only makes sense for companies – either big or small to make their online presence felt as well. An increasing number of businesses are opting for the digital space not just through social media platforms, but also through their own websites. Even today, many people might ask: Can a website help grow business? Here’s why must you really get a website for your business. People rely on the internet more than anything else for information and as a result, websites have become a fundamental requirement for companies as not only do they add credibility but are also more convenient, economical and effective in engaging potential clients. Today, having a website is almost next to having an e-mail address or a physical address – most people assume that your business already has a website and a lack of one might be the reason why you are losing out to your competitors. Even if people know about an organization, they may still prefer to familiarize themselves with the products/services offered and having a website will be more convenient for people as they are more likely to prefer browsing through a website than going to the physical location right at the outset. A website is the perfect tool to gauge the trustworthiness of a company. Potential clients can explore what the business is all about and may leave feedback and reviews that further spread the word and bring in more business. Unlike a brick and mortar setup, a website is easily accessible 24/7. It can be visited any time of the day or night as per convenience and is not restricted to only business hours. Clients can leave their queries and ask for more information without the added pressure of having to buy the products or services. Online advertising and SEO are effective ways to boost traffic on websites. Most of the traffic on websites comes through search engines and a strategically designed website can go a long way in targeting visitors to meet their specific requirements which will in turn translate to more business. Having a website is more economical than traditional advertising methods. Developing and putting a website online involves moderate costs and even updating and revising content on a website comes at a minimal cost as compared to the expensive production/editing costs of T.V, radio, print or outdoor media. A website provides complete control on information. There are analytical tools, which can help identify the visitors on a website in great detail, what type of information they were looking for, their preferences etc. These tools make it much easier to track the over-all perception and reputation of the organization. That being said, simply having a website is not enough, it’s having an effective one that makes a difference. When someone visits a website, the first thing that comes to notice is what it looks and feels like so it becomes important to have a professional looking website that equally focuses on the needs of the visitors and the organization. It is pretty evident that a website is crucial for any organization: business or non-profit and not having a strong web presence can put it at a serious disadvantage. 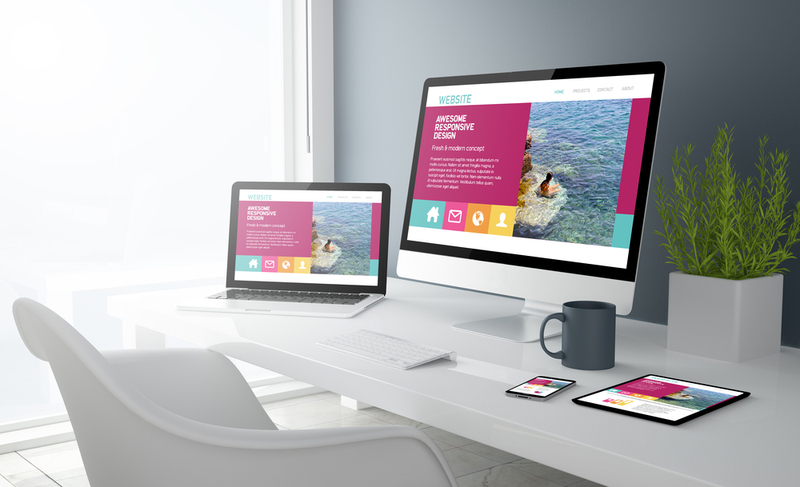 If properly planned and executed, a well- designed and actively maintained website can go a long way in meeting the goals and developing long-term relationships with clients. Get in touch with us to find out how to make the most of your business website even if you already have one. We might know why it may not be helping in achieving your business goals.